Natsuka is an energetic high school girl who knew Fumika from junior-high school when they were in the same class, though they first talked in the school infirmary. She has a tendency to like guys who are intelligent and even goes as far as to read the same books of guys she likes; incidentally, she likes Kaname who is one such type. 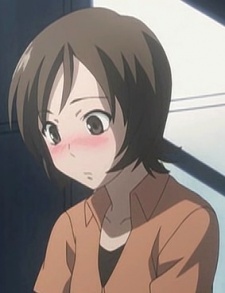 After Kaname comes to her regarding information pertaining to Fumika, she gets involved with him in his search to discover what really happened to Fumika three years prior to the beginning of the story.